A simple tutorial for creating your very own sourdough starter in just 7 days! Learn all you need and troubleshoot challenges with our Q&A. I now consider myself an expert in making sourdough starter. Since I inevitably end up neglecting my little sourdough baby and have to throw it out, I have started SEVERAL batches now! Honestly, keeping a sourdough starter probably only takes a minute a day. But you have to remember to feed the darn thing. So if you have a memory like mine and you’re able to remember each and every one of your childhood classmates’ birthdays but forget to pick up milk on your way home, then there’s definitely a challenge to the whole sourdough thing. Since it takes some responsibility to feed each day, I actually think that starting a sourdough would be a good test project for a kid who’s begging for a pet. Give them something to practice feeding, with low emotional risk if that thing dies. If they show they are responsible with the sourdough, then maybe they’d be eligible for that puppy. Or maybe move on to a goldfish first! Find a container that holds the amount you’d like. I found a beauty similar to this one at a housewares store. The gas produced by the sourdough probiotics needs to escape, but you don’t want dust or other random things to fall in your starter either. If you decide to use a big mixing bowl, you can cover it with plastic wrap and throw a tea towel over top. It’s made of bamboo! How pretty and sleek is that? Now stir the flour and water together until it is well combined and you get a thick, sticky mess. It’s just going to look like a big ball of dough at this point. Cover loosely and leave on your kitchen counter. Same as above. Add another 4 ounces (112g) of all-purpose flour and 4 ounces of water into your container. Stir until fully incorporated into the starter. You’re going to start wondering if anything is every going to happen because it’s still going to just look like a thick, sticky mess. Cover loosely and leave on your kitchen counter. Do you see bubbles yet? If you’re lucky, magic has started to happen. But it’s okay if you don’t have any bubbles. Don’t lose hope! Add another 4 ounces (112g) of all-purpose flour and 4 ounces of water into your container. Stir until fully incorporated into the starter. Cover loosely and leave on your kitchen counter. Now you should start to see bubbles and the dough should begin to loosen up. Again, if it hasn’t happened yet, don’t abandon your baby! It could still happen. Add yet another 4 ounces (112g) of all-purpose flour and 4 ounces of water into your container. Stir until fully incorporated into the starter. Cover loosely and leave on your kitchen counter. You really should see some bubbles and your dough should be fairly loose and thin. I’m sorry if this hasn’t happened for you yet. I said I’m an expert at starting sourdough, not fixing sourdough problems (UPDATE: I’m learning more and more and have included a lot of troubleshooting Q&A at the bottom of this post!). Add yet another 4 ounces (112g) of all-purpose flour and 4 ounces of water into your container. Stir until fully incorporated into the starter. Cover loosely and leave on your kitchen counter. Congratulations! You made it! You can start to use your starter! If you aren’t able to, throw about half of it out or your starter will grow too big for your container and explode down the sides! We’re not going for a volcano lava science experiment here. Add yet another 4 ounces (112g) of all-purpose flour and 4 ounces of water into your container. Stir until fully incorporated into the starter. Cover loosely and leave on your kitchen counter. A happy, thriving, bubbly sourdough starter! Feed your sourdough with a 1:1:1 ratio. What that means is you’ll need to weigh your unfed starter and then feed it equal parts flour and water. For example, let’s say your unfed starter weighs 2 oz. You’ll then add 2 oz water and 2 oz flour. For the avid baker: If you plan on using your starter 2 or more times a week, you will need to be pretty active in feeding it. Keep feeding your starter everyday. Use or discard as needed to keep to a manageable size for your container. If you go away for a weekend, just throw it in the fridge. If you’re going to be away for more than a week and you don’t want to hire a sourdough nanny, dry it, freeze it, and defrost it when you get back. For the occasional baker: If you plan on using your starter once a week or less, you can keep it in the fridge. It will need to be taken out and fed at least once a week. It’s best to use the starter within 12-24 hours after feeding it. If you’re going to be away for more than a week and you don’t want to hire a sourdough nanny, dry it, freeze it, and defrost it when you get back. For the rare baker: Make friends with an avid or occasional baker and use their starter as needed. To make it a symbiotic relationship, you could offer to babysit the starter when your friend goes away! Q: What’s the best temperature for a sourdough starter? 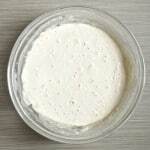 Q: Can you tell me the difference between a fed (active) and unfed sourdough starter and when to use them? A: I made a video to visually show you the difference! Q: My starter has turned orange/grey/blue. Can I still use it? A: I haven’t been able to find an authoritative answer on whether off-colour starters are still safe to use. Since illness-causing bacteria like to grow in the same conditions as the probiotics in your sourdough starter (room temperature, moist, salt-free, with a food source) I wouldn’t chance it. Throw it out and start again. If you keep your starter in the fridge and you pull it out to find a greyish liquid on top, just pour that off into the sink, weigh the remainder and feed as normal! Q: Can I use whole wheat flour or flour from other grains (rye, rice, etc)? A: Yes! Although if you don’t require 100% gluten-free (i.e. you don’t have Celiac) then it’s recommended to start with all-purpose flour to get the starter going. You may certainly have success with any type of flour but I’ve read that all-purpose flour is the most predictable. Once you have an active, happy starter, you can branch out in what you feed it! But once you branch out, keep feeding it the same thing. For example, if you want a rye starter, keep feeding it rye flour. Don’t go back and forth between rye and flour. Q: I’ve read elsewhere that to maintain the starter it should be fed every 12 hours but your guide says every 24 hours. What do I believe? A: From the info I’ve been able to gather, feeding your starter more often will help to increase the active bacteria count. If you find that your dough is taking a really long time to rise or that your loaves don’t rise as much as you’d like during baking, then try feeding your starter every 8-12 hours in the day or so before you use it. But if you’re happy with the way it performs when you feed it every 24 hours, then why make the process more labor-intensive than it needs to be? Q: What can I make with my sourdough starter? Is it only good for bread? Some recipes are “starter” recipes, aka beginner recipes (haha, see what I did there?) that don’t rely on the leavening power of the sourdough starter. These recipes will have either yeast or baking powder as well. Measure out 4 ounces (112g) of all-purpose flour and 4 ounces of water into a container (see options above). It’s important (and easier) to do this by weight. You really should see some bubbles and your dough should be fairly loose and thin. Add yet another 4 ounces (112g) of all-purpose flour and 4 ounces of water into your container. Stir until fully incorporated into the starter. Cover loosely and leave on your kitchen counter. Hi Jessica! Thanks for the post! I look forward to trying it. When you say add the water and flour…do I need to mix flour and water in? Or just sprinkle it on the top and leave it to incorporate on its own? Thanks. Thank you for the question. The water and flour should be well incorporated into the mixture. So go ahead and give it a hearty stir! I’ll update the tutorial to clarify. oh man, i tried doing this myself last year and failed miserable. i’m actually having a friend dehydrate his starter and mail it to me so i can rehydrate it! excited to see if it works. if it doesn’t, i’ll be trying again using this post! Haha… as I wrote, I’ve failed miserably several times! The good thing is that it’s so easy to start up again! Cool! I’ve heard of some starters that live on forever and that’s why some bagels and breads are so amazing. Must try this sometime! I have never made bread of any kind. I have thought about drying out bread making, but it scares me. I don’t get it, it’s only flour and water? Where is the yeast? Where do the probiotics come from?. I am really confused how you can get sourdough starter from just flour and water? You suggest drying your sourdough starter, and freezing it if you’re going away. How do you dry it? Good point! I probably shouldn’t give vague instructions like that! I haven’t done it myself yet but I’ve heard that you can spread it out thinly on a sheet of wax paper or a silicone mat. Leave it to dry at room temperature and then break it up into pieces and place in a container or ziplock to freeze! I’ve experimented with and without removing half and have had success both ways! So I think it depends on the space you have in your container. Also, I think it might develop faster when you throw half of it out. And yes, it’s completely normal for it to puff up! When it bubbles up, you know that you’ve got an active starter! Way to go! You’re doing great! I’m so excited that I found your site, it’s so straight forward and helpful. What is the equivalent of 4 ounces of water in cups or do I need to weigh the water? I highly recommend using a kitchen scale but if that’s not possible for you, then 4 oz would be 112 ml of water. Which is nearly half a cup. how do you know if the starter has died? a) if it turns green or blue. A slight orange tinge is fine. That just means that it hasn’t been fed in a while and there’s more alcohol production. Discard the top orange liquid and feed. b) if you feed it and nothing happens. No bubbles, no rise, nothing. If this happens, start fresh! Mine was bubbly on day 2…. Hi. Thanks for the tips and recipe. My question is ? On day 8 where do I find or know how to make a loaf of bread with the starter? Have fun with your sourdough! It’s a great adventure! Bread bowls! That sounds just perfect for Fall! Glad to hear your sourdough is happily bubbling away already! greeting from Indonesia,Dear Jessica, sourdough is something new for me.I would love to try it soon .Is there any adjusment I shoul d make since I live in a tropical country? The first week would be the same for you in a tropical country. But if it’s pretty warm in your kitchen, I would recommend keeping the starter in the fridge after the first week and taking it out to feed once a week and leave it on the counter for several hours. dear Jessica, my starter is bubbling on the second day.Did I do it all right? ?What should I do? ?.Is it because of this tropical climate?? I’m on day 4 and it was going well I thought and I had bubbles right from day two which I thought was weird but anyway today I went to look at it and it has a thin layer of water on top and now smells pretty bad… do I continue or throw and start over? I would err on the side of caution and start over! Do you live in a hot climate? Sometimes things can get funky if it’s a bit too hot! If so, you might want to keep it in the fridge overnight and only let it sit out during the day. Once it’s bubbles, then it’s ready to use ? Or should you continue with the whole week first? 40 years ago i was a newly wed, a newbie 🙂 our”web”was the radio. 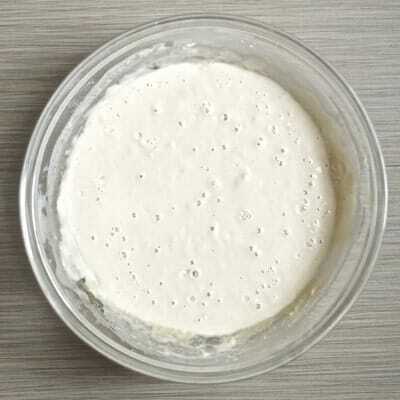 A couple stations carried an hour long cooking call in show and the listeners enjoyed conversation about a popular/spreading fad called”Herman”that was a sourdough starter. Any dough/batter recipe could be modified to use it. We didn’t know at the time how good probiotics were for you….heck, we didn’t even use the word probiotic back then. Love reading your posts and especially the comments in your”community” !!! AND, by the way, i was motivated to start a sourdough….i added a few crumbles of organic cheddar cheese, just to see what it would do. Cooking is not rocket science-but it is science i tell my kids. (Boys as well as girls 🙂 ) Have fun…experiment…and then do it again if you like it, or learn from it. Thanks for providing really good information to”research” !!! I would love to try this but I don’t think I have a container large enough for 20+ oz of flour and 20+oz of water. Would this starter work if I cut the portions in half? So instead of adding 4 oz of flour and 4oz of water, could I do 2oz of flour and 2oz of water everyday?or would it not work the same? Yes, that should definitely work! When your starter has matured enough to use, just make sure not to feed it more flour and water than what is left in your container. Aim to double what is left. This just might mean that you have to wait longer in between uses. How large of a container do I need to use for this starter? It looks like it would have to be pretty large considering all the days that you are adding flour and water. For the first week using something like a large mixing bowl is a good idea. Once you have built up and developed a happy, bubble starter, you don’t have to keep such a large amount. Most recipes call for 1-2 cups of starter. So you can keep about 1 cup in the fridge and then take it out and bulk it up before you want to use it. Does that make sense? Thanks for sharing the recipe. I started my sour dough starter 3 days ago and I see bubbles already. Is that good? It’s been sitting on the kitchen counter in the same place and I feed it once a day at around the same time. It’s winter so the temperature of the kitchen is around 70-75 when I’m cooking or baking for lunch. Hi. I love the ease of your tutorial. I started my starter last night. I used my kitchen scale to get 4oz of each water and flour but when i mixed them they didn’t make a dough. It was more like a soup. Hmm, that’s interesting. Do you live in a very humid place? Do you know if your scale was measuring accurately? Was it sitting on a level surface? I live in Illinois in the US so i dont think its particularly humid. I think my scale was pretty accurate because the 4oz of water measured out to be 1/2cup. Its sitting on my counter. It had some bubbles developing pretty quickly. I added 4 more oz of flour and water tonight (24hrs now) and its still not a real dough. Similar to thick pancake batter. Sounds like everything was done right! Each person’s sourdough is going to be a little different. Since you had bubbles right away, your flour probably had a lot of starting culture in it! The pancake batter is more typical of a developed starter so it sounds like yours is just a few days ahead of the typical! Hi, thank you for sharing of making a sourdough starter, am going to try it! Just one question: How much water and flour should I feed to maintain the sourdough after the sourdough is being used? For the healthiest starter, it’s best to double by weight (approximately) what you have leftover after using it. So it depends on how much of the starter you end up using for a recipe. Does that make sense? The link you supplied says to feed the sourdough twice a day. Please explain the difference. It says to throw half away each time as well. Feeding it twice a day will ensure growth but I have never had any problem with only doing it once a day! I like to try and make things as easy as possible 🙂 Once the starter is happily bubbling away, you only want to keep a small amount and double it in bulk when you feed it. If you don’t use it very often, then you’ll need to throw some starter out or else it will become a monstrous size! Hi! I started a sourdough 3 days ago. When you say to trow about half of it out, can we use it instead at this point and continue to feed to other half? I wouldn’t use the starter until it’s had a chance to really develop. Give it at least 7 days. I loved the ease of this recipe! However, I may have to wait until it’s consistently warm outside to make it well! When I started my sourdough, it was in the 70s and 80s during the day and had risen to be so large I had to move it to another container after 4 days! But when I moved it to another container, it stayed roughly the same size 🙁 there are just a few bubbles in it now, and it’s day 7. Did moving it to a new container kill my sourdough? The temperature also dropped down to 40s and 50s outside, so maybe that majorly affected it too. I hope my bread will still rise if I try to bake it! A lower temperature will slow the growth but it won’t kill it! This is why you can keep it in the fridge and only take it out once a week or so to feed it! When you want to use your starter, feed it and then put in in a warm place for several hours. What I do is turn the oven on for a few minutes and then shut it off. Then I’ll put my starter in there to incubate! One constructive criticism that will improve everyone’s results. Most homes/kitchens are air conditioned. Those filters on modern air conditioners work too well. If you do your starters outside, exposed to the air instead of in your home, it will make a significant difference. I fed my starter for the first 5 days. on day 6 I forgot and threw it into the fridge before I had to leave. Can it be salvaged? Thanks! How long will it need to sit out before adding to it? You can add to it right away. Then leave it out for at least 12 hours to incubate at room temperature before returning to the fridge. Tap water should work just fine! If you find you aren’t getting any bubbles after a few days then try pouring a glass of tap water and allowing it to sit overnight. Then use this water. As i continue to feed my starter, do i need to add the 112g of flour and water, or can i feed with less? To keep an active starter healthy it’s best to double its weight when you feed it. If you don’t use your starter very often try keeping it in the fridge and taking it out once a week to feed it and keep it on the counter for at least 12 hours. Hello, I’m on the morning of day 3 (I feed it at night) and I noticed it bubbling as rising too much. I have switched to a larger bowl and am now just loosely covering with a tea towel (assuming the issue was that the gas wasn’t escaping), but it’s super stinky. Is that normal? I don’t see any discoloration and when I transferred the starter to a larger bowl, I did notice that there was a little bit of water separation at the bottom. Do all of these things seem normal, or should I start over? No discoloration is a good sign! Without being able to smell it myself, I can’t really tell you whether it’s a “normal stinky” or not. Sourdough does have a distinct odor that you might find unpleasant if you’re unused to it. I didn’t like the smell of it at first! But the more I got used to it and loved everything I baked with it, the more the smell grew on me. Sometimes there’s water separation on the top. That’s normal too. Hi! My question is.. on day 8 I can use my starter? How much do I keep? If your starter is nice and bubbly and sticky, it’s ready to use! Keep about a cup of starter. What happens if you use bleached flour instead of unbleached? Good question. I have seen some sources recommend against bleached flour and unfiltered water. I just did some more reading and some say this is a myth. You could try starting a starter with bleached flour. If you don’t see any bubbles by day 7 then I’d call it quits and re-start with unbleached. 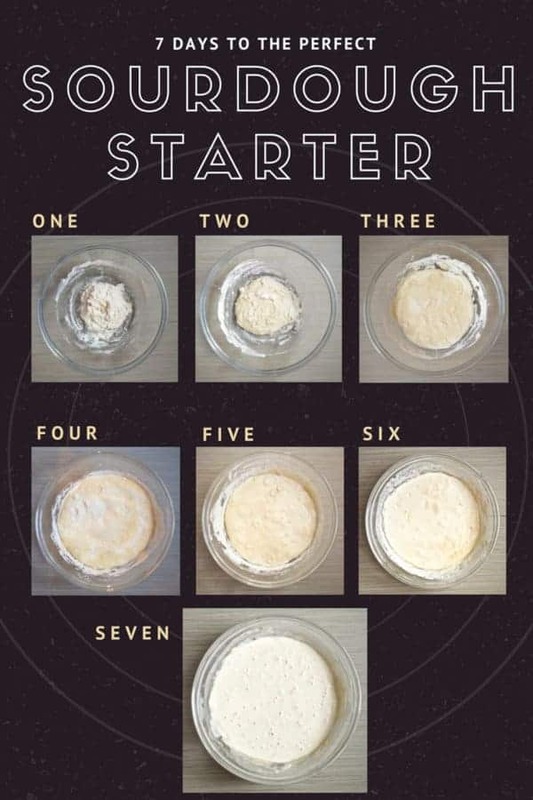 So this might be a silly question, but if you opted to feed the starter every 12 hours, would you then take the 4 oz of flour and water and half it for each feeding? Sourdough starters can be pretty forgiving but the best thing to do is double the amount in the container (once the starter is established after a week or so). For example, if your starter weighs 8 oz, you can feed 4 oz of water and 4 oz of flour. If you want to bulk it up, after 12 hours you can then feed it 8 oz of water and 8 oz of flour. People will often just keep a small amount of starter in the fridge and then bulk it up shortly before using. That way you don’t end up with a ton of starter that will just need to be thrown out. I hope that makes sense! I just found this (Thank you Pinterest) and I am excited to try making sourdough stuff. I saw a couple people say the AZ weather helped it along nicely. I live in Las Vegas and was wondering if putting outside (in fall and spring, not summer) on an enclosed patio would help it mature better. I’m not familiar with the weather in Las Vegas! Would the patio be warmer or cooler? 80-85 would be a fantastic temp to speed up the fermentation! Hey Lena, sorry about that but I haven’t posted a recipe for the sourdough pizza dough yet! I hope you’re having fun with your sourdough starter! Thanks. Is there an email address I could contact you with? I have a bunch of questions! Thanks! I’m very happy to answer all your questions but please ask them here! Other people might also be wondering the same things and could benefit from the answers as well. If a recipe calls for starter that is “unfed from the fridge” then unfortunately, you would not be able to use starter that has been at room temperature. Please begin with a different recipe at this point! Metal spoons and bowls shouldn’t be a problem. Many people use them without an issue. But if you feel better about it, feel free to stick with wooden spoons/glass bowls, etc! Hi, I have ended up dumping mine twice now because it gets extremely sour by day 3! It just smells really bad by the third day! Instead of throwing part out can you use that part for a second starter? I haven’t tried this yet but as soon as I go to store for container I will. Once you have your starter going, you can keep it in the fridge and you won’t need to throw any out. But in the first week, if you don’t discard some then you’ll end up with a GIANT load of starter! Instead of throwing it out (because who likes food waste??) you could add it to recipes that don’t depend on the sourdough for leavening. Check out my link in post for a recipe for making sourdough waffles, as an example. It’s up to you if you want to feed every 24 hours or every 12. If you live in a hot place, feeding every 12 hours might work better. 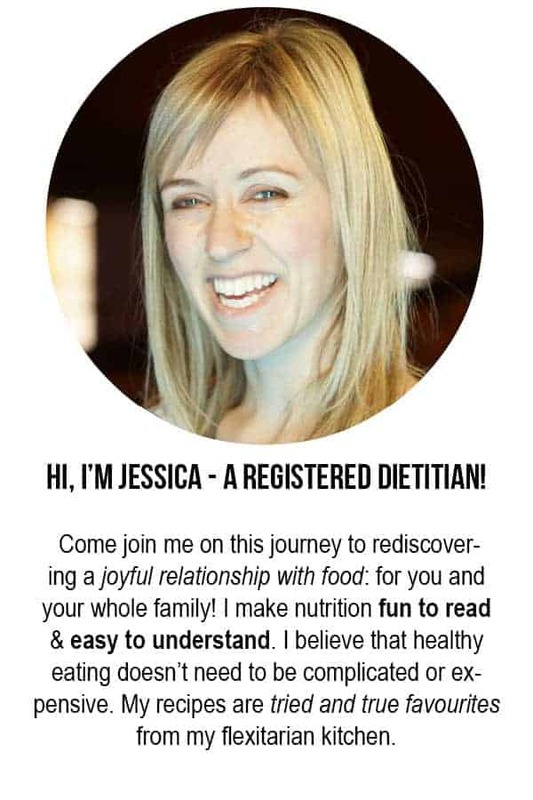 Hi Jessica – my starter seems to develop a white powdery dry film with big bubbles on top daily. Under the dry film top, the development is going on very nicely. They don’t look like mold and smells like yeast. I discard the white film on top and feed. Next day, the same thing happens again. I have been using rye flour. I tried closing the jar tight – and then alternate with covering with cheese cloth – the same thing happens either way. Any clue? I’m not familiar with use of rye flour for feeding a sourdough starter. My guess (and this is very much a guess) is that the cultures found on rye flour contain more yeast strains than bacteria. Could be very normal but I don’t actually know! Yeast can grow with less moisture content then bacteria. Are you using a scale to measure your flour or water? Another thought is that maybe the starter is a bit dry? Thank you for your reply. No – my starter is not dry at all. I always use a digital scale to measure both flour and water. I have followed your recipe for the starter using only all purpose white flour – lots of little bubbles – scent no so strong – looks a bit boring actually. So last night I fed it with rye flour and tonight I will see what’s happening to it! I also wonder why some people recommend closing the jar tight while others say don’t do that and keep jars open and cover with a cheese cloth etc. Thank you for such a great tutorial!!! Gah! It’s always so exciting to see those bubbles! It never gets old 🙂 Have fun with all your sourdough creations! Looks like a tedious process and Im not sure if I have the patience to wait for the results. Ill try this out soon and wish me luck! Hoping to get the same results as yours. The number of days I need to wait is just right for the feeding window of my military diet.